A team of researchers from the Department of Energy's Oak Ridge and Los Alamos National Laboratories has partnered with EPB, a Chattanooga utility and telecommunications company, to demonstrate the effectiveness of metro-scale quantum key distribution (QKD) as a means of secure communication for the nation's electricity suppliers. This initial milestone is part of the team's three-year project focused on next-generation grid security. QKD harnesses the inherent randomness of quantum mechanics to authenticate and encrypt data. The technology allows two parties to share a secret "key" and alerts both parties to any third-party intrusion, a critical security capability as more of the nation's grid is modernized and data are moved online. To prepare for the demonstration, the ORNL researchers modified a commercial QKD system while Los Alamos developed its own custom system in-house; both systems generated separate keys that, when interfaced at a "trusted node," or secure information exchange, generated a third key, which was then distributed between the Los Alamos and ORNL systems. Added Ray Newell, Los Alamos research scientist and leader of their quantum communications team: "Recent demonstrations at Los Alamos have shown that QKD systems can operate on existing electric infrastructure in real-world settings, including during a historic snowfall. 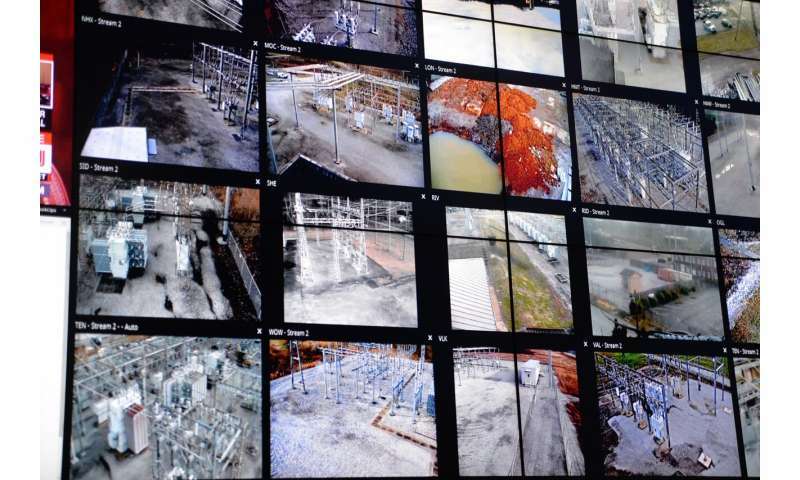 Our partnership with ORNL and EPB shows that utilities can realize the benefits of quantum security using a mix of distinct but interoperable communication systems." The demonstration took place at EPB, which, according to ORNL's Evans, is an ideal partner because the utility has deployed a fiber optic network in concert with its electrical distribution infrastructure. Besides that, "they are engaged with us on multiple projects for facilitating next-generation technologies to secure our nation's infrastructure," he added. "For EPB, partnering with Oak Ridge and Los Alamos National Laboratories is an opportunity to field test new technologies and best practices to help maintain the security and reliability of the power grid for everyone in America," said Steve Morrison, EPB's Director of Information Security. "We're honored to do our part to assist the progress of this important effort."